Mediation is a powerful alternative dispute resolution process enabling parties potentially to resolve issues in a manner more efficient and less costly than litigation. Mediators are neutral third parties adept at facilitating an agreement between potential adversaries. This is a voluntary process. 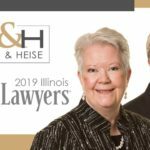 If you are interested in engaging in mediation to resolve legal disputes contact Bush & Heise, Attorneys at Law, in Barrington, Illinois, to receive a free initial consultation and honest assessment of your situation. We are available evenings and weekends by appointment for the convenience of clients. Our firm is ready to handle your case through mediation. 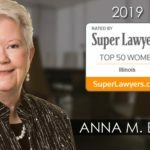 Whether your dispute involves child custody, asset division, elder care, or a business, we are ready to resolve your case efficiently without expensive attorneys’ fees or lengthy trial proceedings. Contact a divorce mediation lawyer at Bush & Heise, to receive a free initial consultation and detailed assessment of your options. Members of our legal team are available to speak directly with you about your case.